It is often said that: 'all diseases are in the mind'. This is a very trite statement that too many people use without the slightest thought. Ifby mind one means cosmic mind, then indeed all diseases are in the mind, but very few people identify their mind with the cosmic mind. If by mind one means individualized mind, which is almost certainly the case, then all diseases are not necessarily in the mind. It is a matter of identity and definition. Most of you will have heard of bilharzia. If you have not then we will explain it. It is a disease that plagues millions of people in the world, especially in places such as the Nile delta in Egypt. It occurs in places where people excrete and urinate in the same water that they drink. It is caused by a flat-worm parasite that invades the blood and bladder of the unfortunate victim. It debilitates the whole body so that there is no energy. This is why it is possible to see countless people in the affected areas walking around looking half-dead. There is nothing mental about this disease; it is entirely physical. We could give many other examples of diseases that are physical in cause. These could include contagious diseases such as cholera, smallpox and any ailment that arises through insufficient food or food that is harmful. All these diseases require a direct approach through any healing system that is available and that brings results. Many diseases, especially modern diseases, do have their main root in the mind. Besides all mental illnesses, these include such diseases as cancer, diabetes, indigestion and so forth. 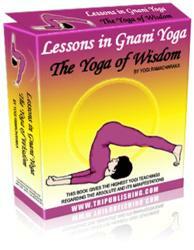 It is these types of diseases that are particularly amenable to cure through yoga practices. In these cases also, any healing system should be adopted that will bring results. The mind and body are really part of one unit but for the sake of definition and explanation, we can say that certain diseases are mainly mental in cause while others are mainly physical. Mental diseases cause derangement in the body and physical diseases cause derangement or loss of efficiency of the mind. They are directly related. The treatment of some diseases will need a more direct physical approach whether from medicine, yogasanas, pranayama or whatever is suitable. The healing system adopted should be one that brings mental relaxation, removal of phobias and any other mental imbalance. In this field, yoga is particularly powerful. It brings wonderful results. The important thing to remember is that one should adopt a suitable healing system whether the disease is predominantly physical or mental.